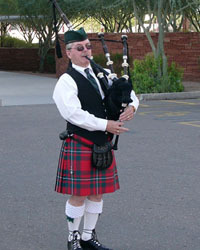 This artist brings a lifetime of bagpiping experience to the centuries of tradition and musical heritage of the bagpipes. 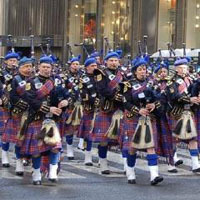 His experience, professional attitude and congenial personality, plus a detailed consultation to select the perfect music, will add the right emotional tone, whether Irish, Religious or Scottish music, to the occasion. 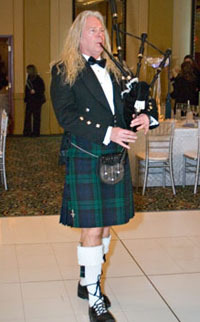 For your next wedding, graduation, corporate or special event, his expertise will make it an event to remember.